"I would never forget your birthday!" —me, after forgetting a birthday. 1. An assortment of sheet masks perfect for at-home spa days. We're talking lime, pomegranate, tea tree, aloe, cucumber, rose, and acai ones. This is a perfect gift for: The friend who walks the skincare aisles of Sephora as if it were heaven itself. 2. A game of Cards Against Humanity that guarantees hours and hours of maybe-not-child-appropriate fun. "A party game for horrible people" is accurate. This is a perfect gift for: The hostess with the mostess who constantly has people over. This game guarantees hours of fun. Seriously. 3. Polite wood coasters your guests will feel intimidated by, but you know what? It's effective. No more stained coffee tables in YOUR home. This a perfect gift for: The new apartment-renter who paid a lot for that Ikea table, thank you very much. 4. Non-stick silicone baking mats that get rid of the need for oil and cooking sprays. Give a gargantuan GOODBYE to ruined cookie sheets, folks. This is a perfect gift for: The aspiring baker who has yet to make a chocolate chip cookie without burning it. 5. 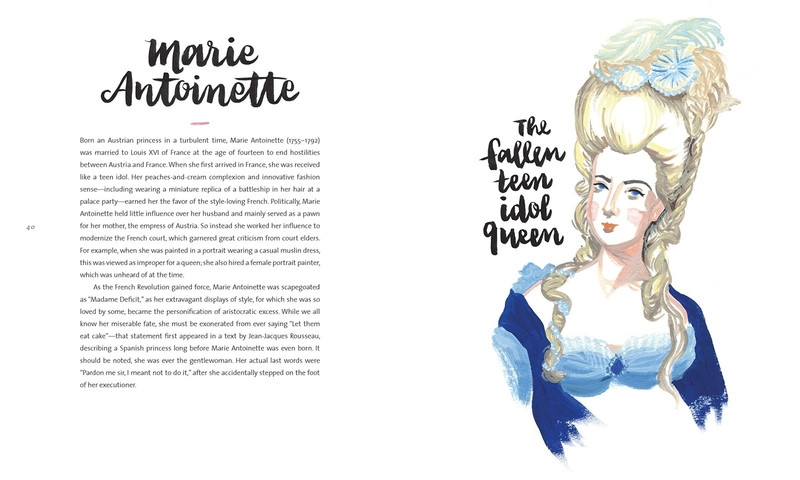 Every Person in New York — a book filled with illustrations that depict (surprise!) New Yorkers in every New York environment. Eating fast food, hanging out on the subway, admiring artwork at the MoMA, etc. This is a perfect gift for: Someone moving to New York City or currently living in New York City. 6. A lip balm formulated with beeswax, green tea leaf extract, shea butter, and cocoa seed butter to provide intense, long-lasting moisture to even the most chapped of pouts. This is a perfect gift for: That friend who constantly complains about how chapped their lips are. TBH? They're probably using lip balms that are more drying than they realize. 7. 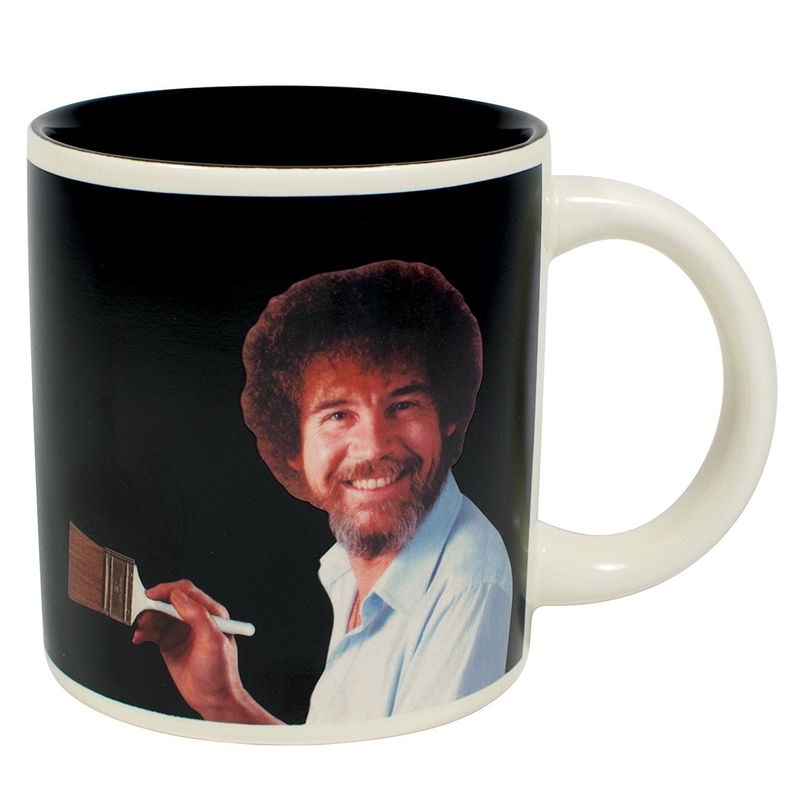 A Bob Ross heat-changing mug that — when you pour hot coffee (or tea) inside — changes to reveal a beautiful painting. A happy accident, if you will. Just an FYI that this mug is NOT dishwasher-safe. Be sure to hand wash it! This is a perfect gift for: Anyone with a weird sense of humor AKA my entire friend group. 8. A luxurious French artisanal soap available in 41 different scents — just imagine everything from lavender and lemongrass to rosemary mint and coconut. Psst, this soap is infused with shea butter to soften and moisturize your skin. This is a perfect gift for: The daydreamer who has yet to see the Eiffel Tower in person BUT FULLY INTENDS ON DOING SO EVENTUALLY. 9. 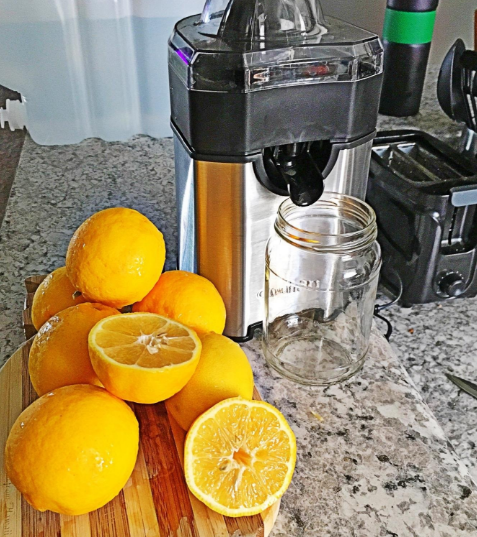 A citrus juicer to take brunch to the next level. 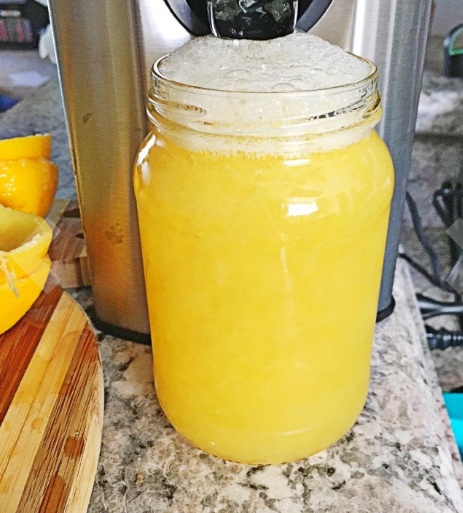 Hello, mimosas mixed with FRESH-SQUEEZED OJ. Plus, this thing has a three-year warranty — yahoo! This is a perfect gift for: Anyone who spends about half of their weekly paycheck on unlimited mimosas at brunch. 10. A lipstick-sized portable charger because a dying phone in 2018 means a very, very bad day. No Google Maps? How would I survive? This is a perfect gift for: Anyone with a phone that is constantly about to die. 11. 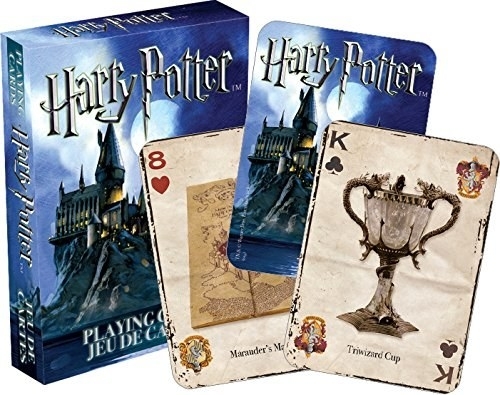 Playing cards featuring gorgeous HP-inspired illustrations. The Sorting Hat! Hedwig! The Triwizard Cup! Scabbers! The bewitching list goes on and on. 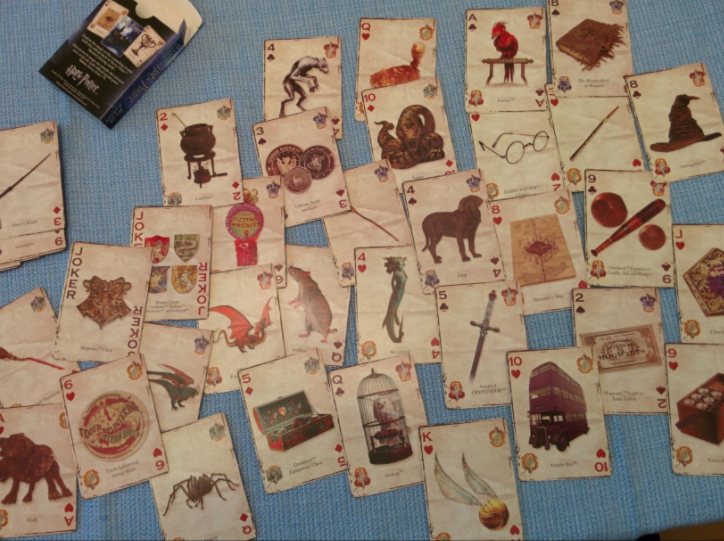 ...or do I say that the playing card features Peter? 12. Turquoise earrings designed to add a pop of color to your earlobes. They scream, "It's okay to wear all black..."
"...just wear me if you want to not look like a sad raincloud all day." —these earrings, talking to me. These are a perfect gift for: Pretty much anyone who enjoys a good accessory. 13. 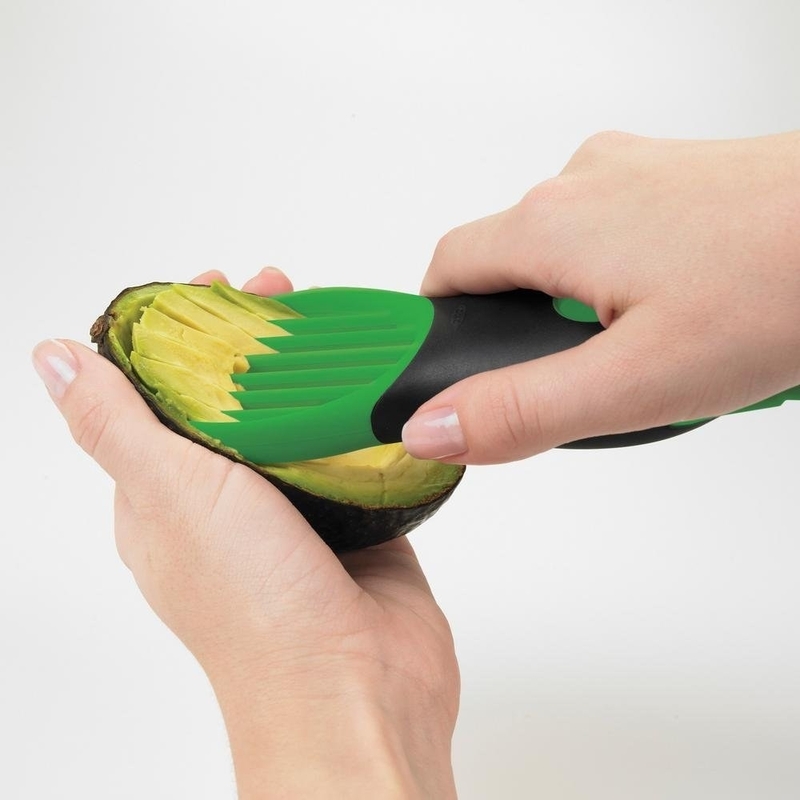 An all-in-one tool that'll split, pit, and slice your avocado to perfection. Instagram toast has never been so hassle-free. 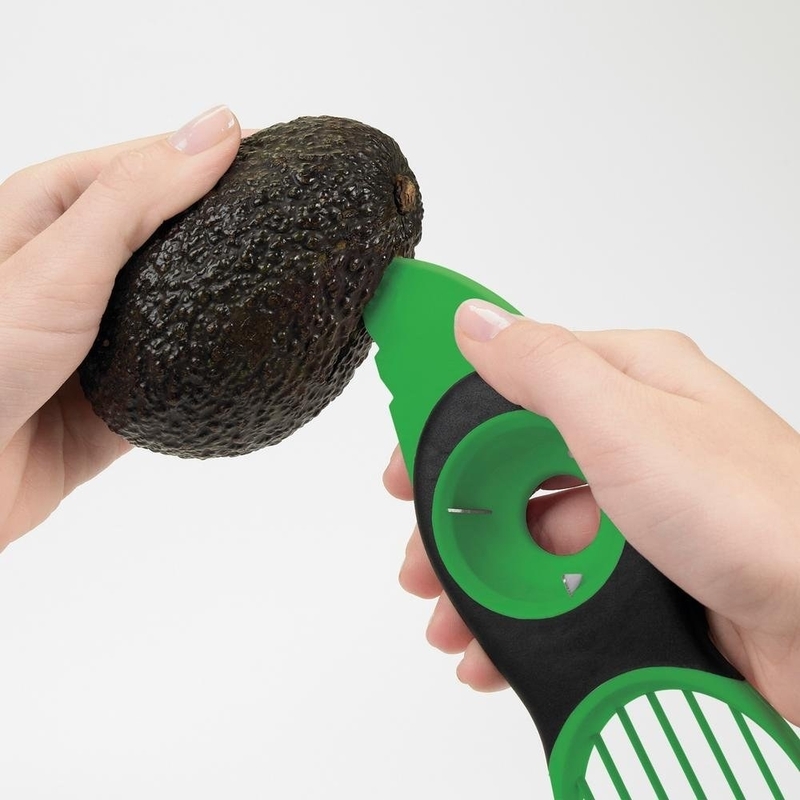 This is a perfect gift for: The cousin who insists on 'gramming their avocado toast every single day. Do they have a life outside of brunch? You'll never know. 14. Mug shot glasses so clever, it's practically a crime. Boom boom chh. These ~bad boys~ are dishwasher-safe and come in a too-cute box that doesn't even need to be wrapped. This is a perfect gift for: The pun connoisseur who makes terrible jokes that no one laughs at. Which, me. 15. A make-your-own-wine kit that lets you make a gallon of your very own wine (duh). Who needs the vineyards of Italy, am I right? This is a perfect gift for: The wine lover who dreams of owning a vineyard in Napa one day. 16. A book filled with 12 fold-and-mail letters you can save and open on special occasions. Anniversaries, for example. This is a perfect gift for: Any sappy, hopeless romantic who reads a ton of Nicholas Sparks. 17. Corn holders guaranteed to have been much more suitable as hot dog holders, but whatever. Just my opinion. This is a perfect gift for: Anyone currently running an Instagram account for their beloved dachshund pup. 18. A multipurpose cleaning vinegar that doesn't SMELL like vinegar. It does, however, smell like lavender, eucalyptus, lime mint, or mandarin. This is a perfect gift for: The logical, clean person who prefers a gift that they will use every darn day. Hey, these kind of people exist. 19. 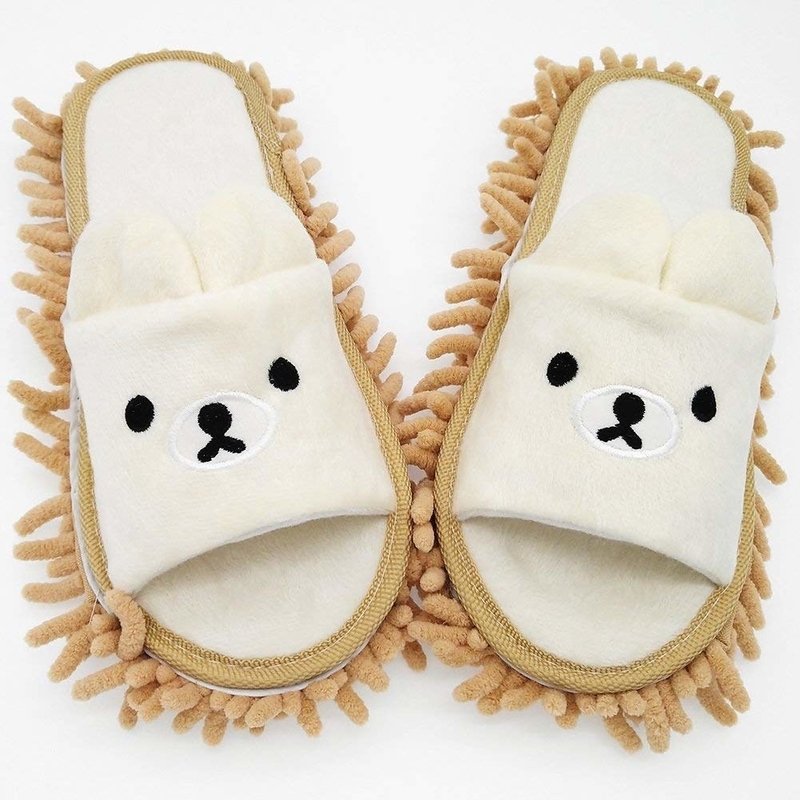 Adorable mop slippers to clean up dust and minor spills as you walk. Can you IMAGINE? Cleaning while walking to get a snack from the fridge? This is a lazy person's dream. 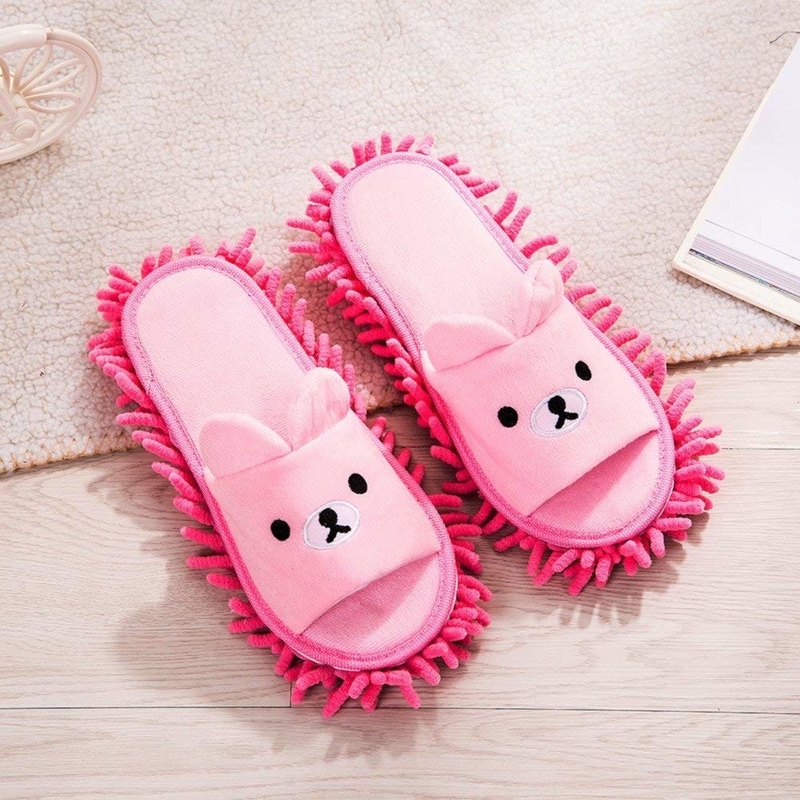 This is a perfect gift for: People who absolutely hate to clean. OR for people who have children. 20. A passport holder with slots to store credit cards, your ID, gift cards, used gift cards from 2008 that you can't bear to throw out yet, etc. This passport holder also comes with slots to hold your essentials, like an ID, credit cards, cash, etc. This is a perfect gift for: The cool aunt who has a trust fund and no job because all she does is travel. 21. An art print featuring a gorgeous blue octopus. This gorgeous thing is made from an upcycled vintage dictionary. This is a perfect gift for: Bibliophiles who refuse to buy a Kindle. 22. A tri-fold magnified makeup mirror that comes with four different light settings: day, office, evening, and home. Each light setting emits a different light that lets you tailor your makeup ~lewk~ to fit different scenarios, squashing all your “I have terrible lighting in my room” complaints. Plus, you can alter the magnification on the mirror to get up close and personal with every blemish on your face. While this sounds dreadful, it really does help to put on concealer when you can actually see what you’re trying to conceal (and then blending that concealer out — that way it doesn’t look like there are random blotches of pale orange on your face). Also, this thing is great for when you’re trying to tweeze your eyebrows: It helps you see every one of the little suckers you’re trying to pluck out. This is a perfect gift for: The beauty guru who is thinking of starting her own Youtube channel. 23. 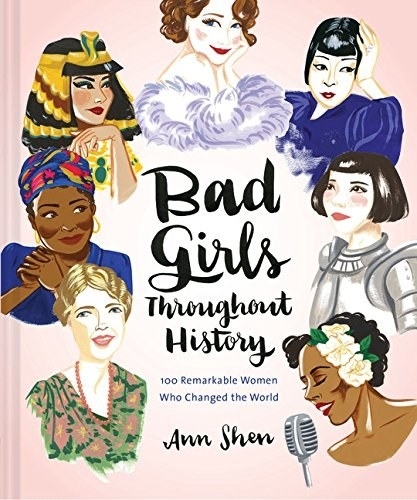 A gorgeously illustrated book filled with a hundred women who changed history. This includes Cleopatra, Empress Wu Zetian, Madam C.J. Walker, and many more! This is a perfect gift for: The ~bad girl~ in your life. 24. A durable and nonstick brownie pan that adds delicious, chewy corners to every brownie you bake. Excuse me while I salivate over the masterpiece below. This is a perfect gift for: Anyone who associates the phrase "brand loyalty" with a delicious homemade brownie. 25. A ceramic teapot adorned with gorgeous cherry blossoms that absolutely demands to be on display in a tea-loving kitchen. This is a perfect gift for: The crazy souls who prefer tea to coffee. I will never understand. 26. OR! A stovetop moka espresso maker that delivers a cup of deliciousness in ~5 minutes. This is proof that heaven is a place on earth. 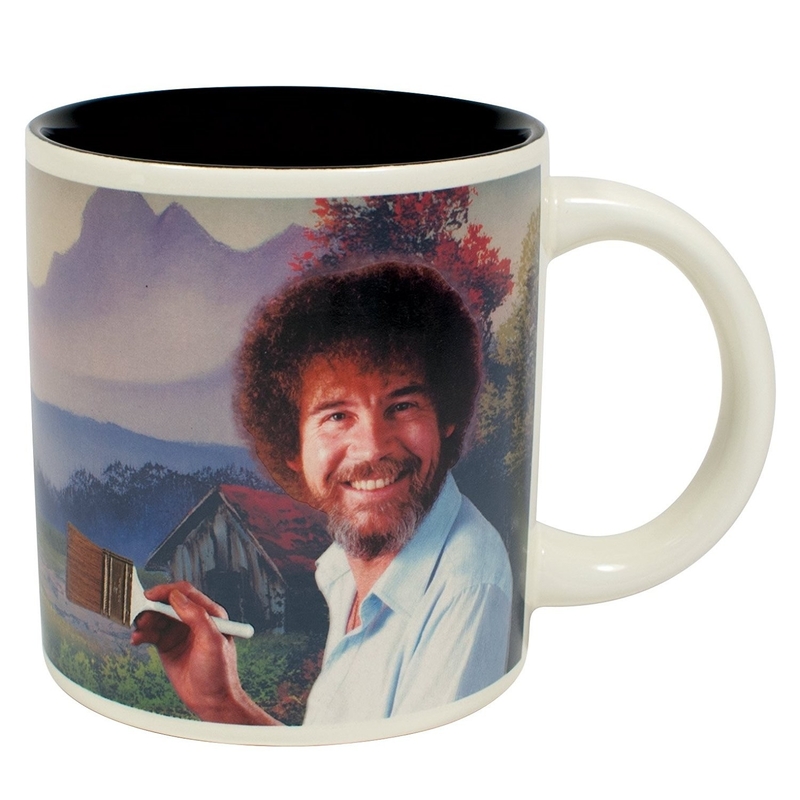 This a perfect gift for: Anyone with coffee running through their veins. 27. 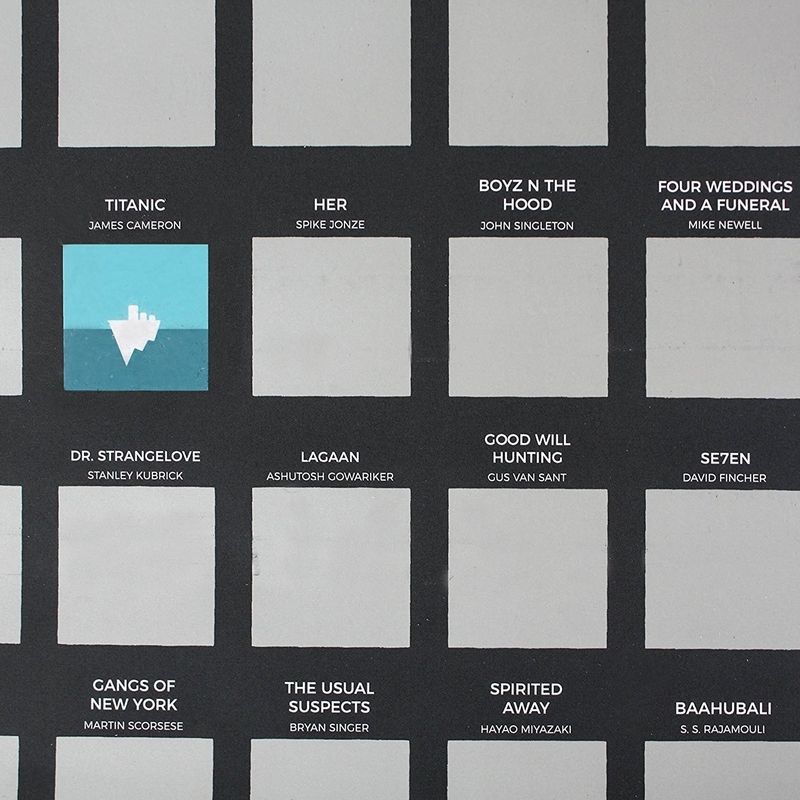 A scratch-off poster that gets rid of all "what movie should we watch tonight?" bickering. This provides the ultimate list of must-see, bucket list films. 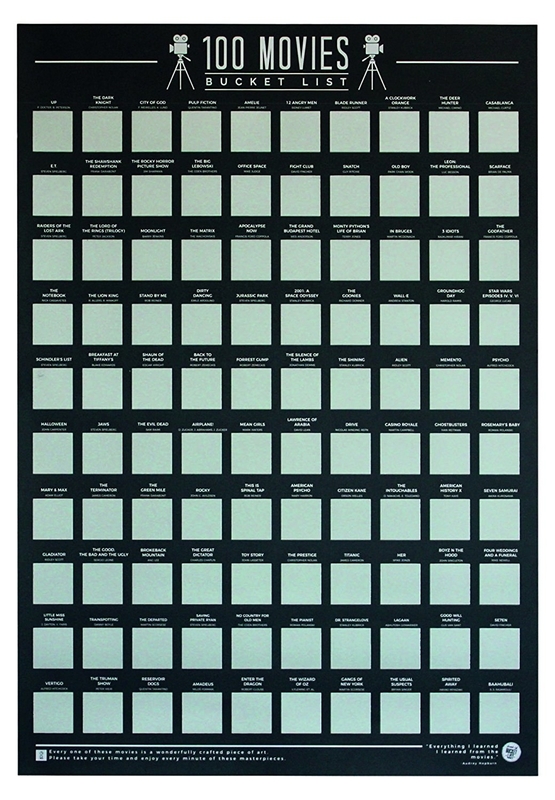 This is tae perfect gift for: The person who goes to see allllll the indie film movies that come out. 28. A coloring book to commemorate the royal wedding that you 10000% woke up early to watch. You would have given your pinky toe to have been at Windsor Castle that day. Don't lie. This is a perfect gift for: The friend who woke up at an ungodly hour just to watch the two royal lovebirds above get married. 29. A splurge-worthy, cruelty-free moisturizing set you will definitely go coco-NUTs for: coconut sheer oil, coconut balm, coconut melt, and coconut body glow. Like I said, coco-NUTS. Makeup remover, body moisturizer, face moisturizer, lip balm, conditioning hair mask, shaving oil, massage oil, and belly balm rolled into four high-quality products! This is a perfect gift for: The person who is constantly on-the-go and traveling. OR! They just like to try out new products. Promising review: "I love Kopari products, so this was the perfect set to try! The coconut melt is my favorite and I would buy a tub-sized version of it, if possible. I have tried every body lotion available, from inexpensive to very expensive, and this my favorite! Plus, the body glow gives my skin a nice glow without getting on my clothes." —Beverly C.